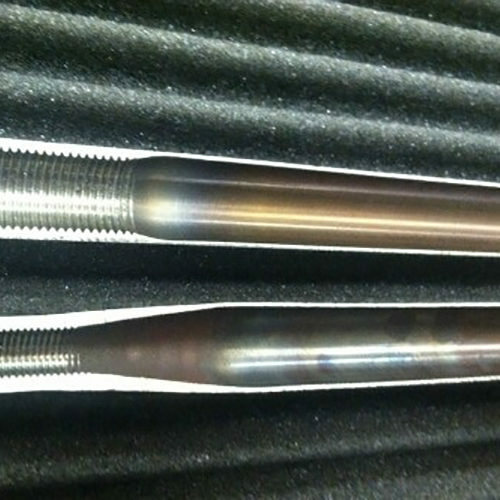 Cylindrical Roll Forming creates a custom design in raw stock tube material. 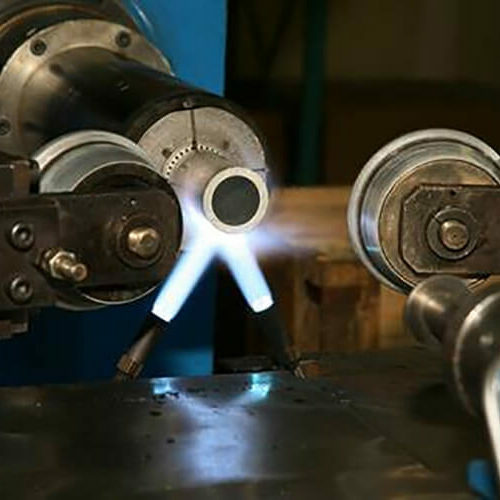 In the Roll Forming process, the rotating tube is heated using direct heat. 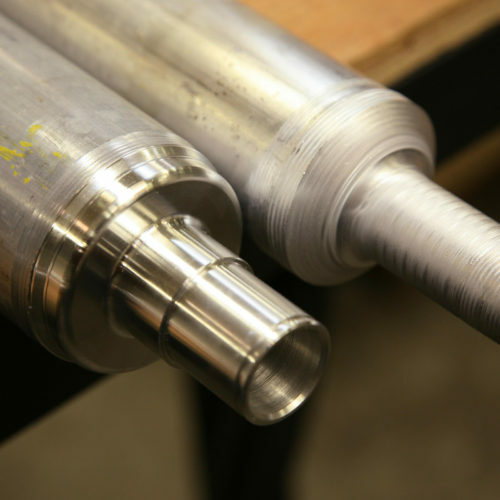 Once the tube reaches the specified temperature, CNC controlled forming mandrels produce the desired ‘neck’ section, or completely seal the end of the tube to provide an air tight enclosure. 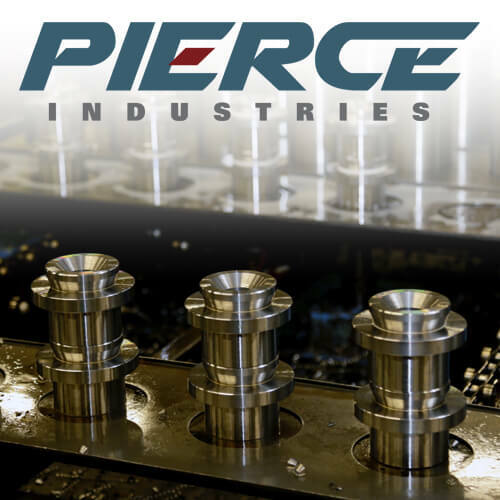 This process produces a near net shape to the finished product, significantly reducing the amount of raw material and additional machining requirements. 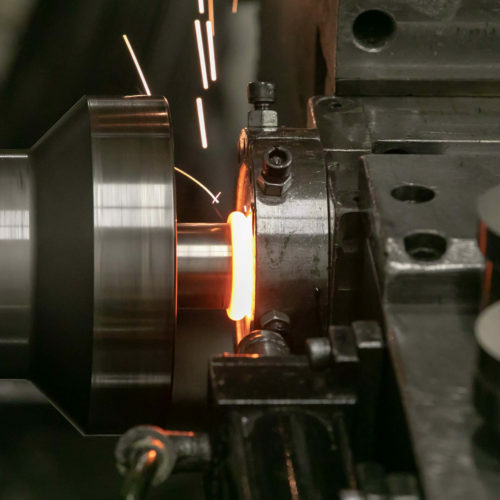 This innovative process can be performed on a range of wall thicknesses and generally any material available in tube, including steel, stainless steel, and aluminum. 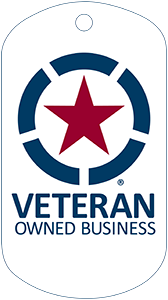 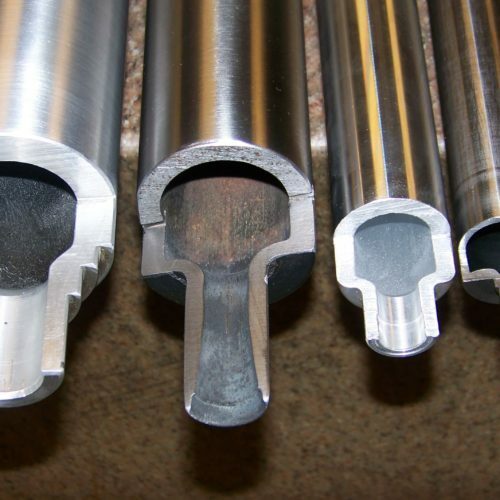 Our capabilities combine to produce a variety of rollers, pistons, hand tools, and other cylindrical components.